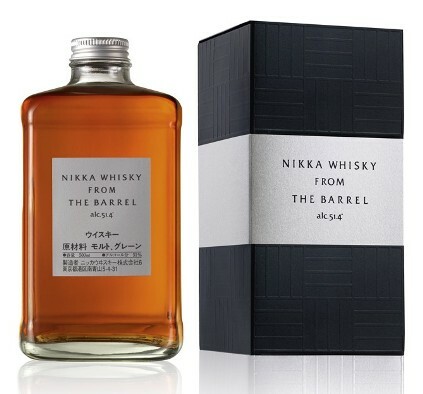 Recently named Whisky Advocate’s Whisky of the Year, the Nikka from the Barrel from Japan is a well awarded Whisky star, having won top prize in its category at the World Whisky Awards in 2007 and 2010. This is big-boned and bursting with character. Not averse to a drop of water, either. A blended whisky that has been brewed for more than 30 years. The squat shaped bottle (500mL) delivers full flavors and richness of whisky “from barrels” which only blenders can sniff and taste. Extremely complex, bottled at 51.4% ABV. In order to deliver its richness and full flavors, the blended liquid goes into used barrels for another few months for “marriage” before it is bottled. The nose offers notes of cut flowers butterscotch, orange peel, pears and fresh fruits, spice and a little oak, while the palate is full-bodied and punchy. 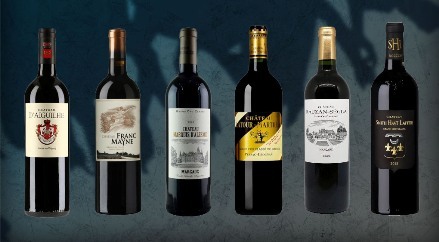 On the palate, there is plenty of spice and toffee, some earthiness, dried autumn leaves, coffee, old oak, and tobacco. Some even state there is chili pepper, allspice and long sustained fruits. The finish is long, warming and fruity with a little ginger and oaken spice and finally wisps of smoke and sea salt, all this from its blend of Miyagikyo and Yoichi single malts with a unique grain whisky as well. One of the greatest value for money whiskies in the world – this is intense and generous, powerful yet controlled with its ambitious high-proof blend that has long been recognized for its originality. It dares. It captures the senses. It imposes its own style. A consummate Japanese blend for anyone to enjoy. Availability is very limited, it won’t last the year.